It is impossible for a kitchen to be functional without cabinets. Kitchen cabinets are an essential part of the kitchen. Without them, your kitchen would likely be a cluttered, unorganized mess. There is a wide range of available cabinet styles, as well as custom kitchen cabinets, on the market, and choosing the right style that is perfect for your kitchen can be overwhelming and challenging. Some of the most important considerations while selecting cabinets for your kitchen are the color and style. 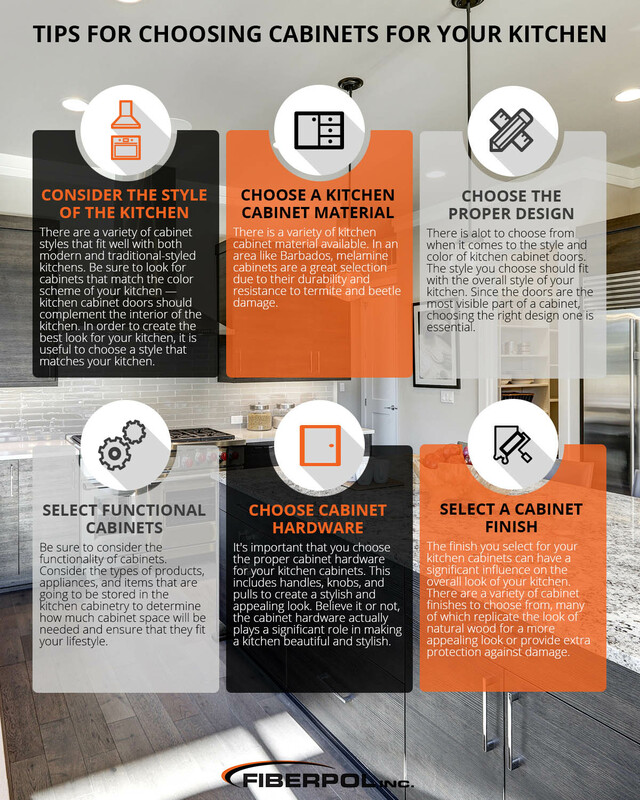 In this blog, we are going to share some tips that will make choosing the right kitchen cabinets for your remodeling project much easier. There is a variety of kitchen cabinet styles that are suitable for both traditional and modern-styled kitchens. When shopping for new kitchen cabinets, it’s important to look at options that will match the color scheme of your kitchen. The cabinet doors should complement your kitchen’s interior. It is also important to consider the amount of available space in your kitchen. If your kitchen does not have a ton of space, you may want to consider cabinet designs that offer more space, such as carousel corner cabinets. In order to create the best look for your kitchen, it is useful to choose a style that matches your kitchen. There are different materials used to manufacture kitchen cabinets. Stainless steel, metal, solid wood, melamine, and thermofoil are among the most popular choices for kitchen cabinets. In an area like Barbados, melamine is a great option. Not only is it extremely durable, looks great, and is easy to clean, but it is also resistant to termite and beetle damage. When it comes to the style and color of kitchen cabinet doors, there is a seemingly endless amount of possibilities. Some of the most popular cabinet styles are modern, contemporary, and traditional cabinets. 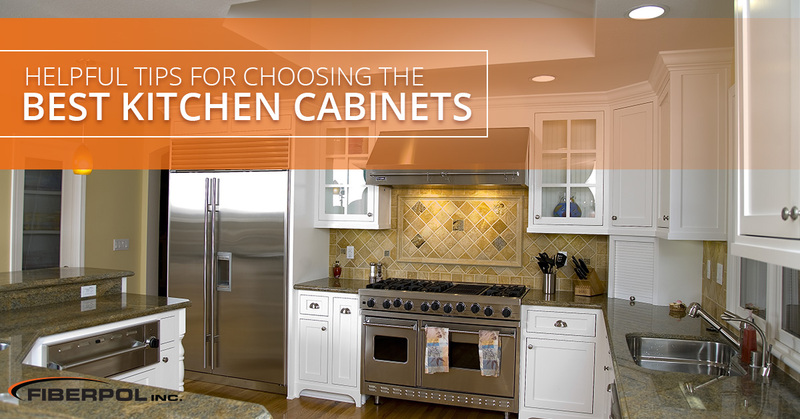 Choosing a cabinet style without considering the overall style of your kitchen and home is very unwise. There are a range of cabinet door designs and styles to choose from, and since these are the most visible part of a cabinet, choosing the right one is essential. Shaker style kitchen cabinets are a common selection among homeowners. They come in a variety of colors, finishes, and materials. Plus, they fit perfectly in both modern and traditional styled kitchens. When choosing new cabinets for your kitchen, it is important not to direct all of your focus on the beauty and look of them. You should consider their functionality as well. Consider the types of products, appliances, and items that are going to be stored in the kitchen cabinetry to determine how much available space will be needed. Make sure that the cabinets you select are perfect for the items you want to store, and ensure that they are a proper fit for your lifestyle. In addition to kitchen countertops, kitchen cabinets are an essential part of the kitchen’s interior. That’s why it is important to choose the right hardware to go along with it. This includes handles, knobs, and pulls to create a stylish and appealing look. There is an extensive range of styles, finishes, and colors of kitchen cabinet hardware available. Most countertop manufacturers will have hardware included with their cabinets, but there are often other available options to choose from. The cabinet hardware actually plays a significant role in making a kitchen beautiful and stylish. The finish you select for your kitchen cabinets can have a significant influence on the overall look of your kitchen. Of course, there are a variety of color options to choose from, but you can also choose to have a thermofoil finish applied. These kitchen cabinet finishes often replicate the look of natural wood to create a more appealing look and add extra damage protection. By following these tips, you will be better prepared to select the best cabinets for your kitchen. If you are in need of kitchen cabinets in Barbados, turn to the professionals at Fiberpol! We are one of the leading manufacturers of custom frameless cabinets, which are perfect for your kitchen. To learn more about our kitchen cabinet styles and features, contact the team at Fiberpol today!